Modric reportedly thinks that team-mate Gareth Bale is heading back to England and he wants to follow suit. According to Spanish outlet Diario Gol, Liverpool and Arsenal would be interested in securing his signature. However, the former Tottenham star has a preference of where he would like to move to if Real Madrid will let him go. Los Blancos are plotting a mass summer shake-up of their squad in the summer after a nightmare defence to their La Liga title. And a number of star players could be allowed to move onto pastures new. 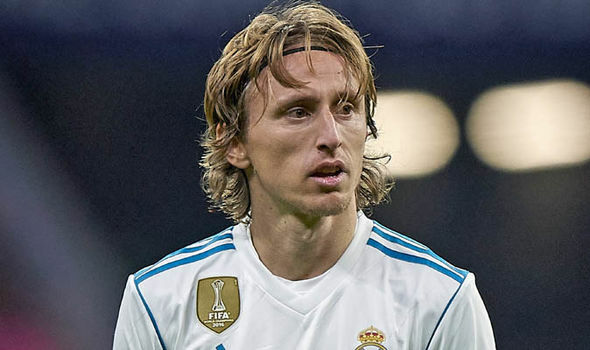 Diario Gol say that if given permission to search for a new club then Modric would rather move to Arsenal than Liverpool. That is because the Croatia international already knows the London area from his time at Spurs. Arsenal could be in the market for a new midfielder if Jack Wilshere leaves the club. Meanwhile, Liverpool are still looking for a replacement for Philippe Coutinho, who was sold to Barcelona for £142million in January. Manager Jurgen Klopp is expected to have a war-chest to play with and a midfielder is top of his priority list.